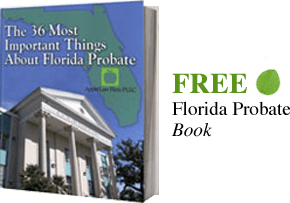 Estate Planning for physicians, dentist, lawyers, accountants, veterinarians, doctors, or other professionals is different from the average Florida estate plan. Professionals are typically better educated, have higher net worth, different lifestyles, and higher risk due to professional practice. Not only do professionals need different advice, they need better advice pertaining to wealth protection. The first part of a successful wealth preservation estate plan is to focus on dealing with the other professional who help guide the individual in their financial decisions making. Almost all decisions are made with the help of the professional advise of the CPA and financial planner. As a team, we will develop a plan that focuses on protection of the business and personal assets while minimizing the estate and income taxes. Often this process involves creating and executing a practice exit strategy and retirement income to maintain high income during retirement. With proper asset protection, the threat of lawsuits and risk of loss of capital can be minimized Assets must be shielded from risk and wealth protection needs to be used in conjunction with the wealth creation techniques that are used by the financial planners. Asset protection has a sliding scale and the costs and benefits of asset protection must be reviewed in comparison to the enhanced risk associated with partnerships. While homes in Florida often provide significant asset protection, there is no longer an unlimited amount of asset protection available through ones homestead. Estate tax planning can be dealt with through customized revocable living trusts which incorporate legacy trusts for the children. In addition, life insurance is usually significant for professionals and should always be owned in a life insurance trust (ILIT). As wealth increases, grantor trusts can be used to transfer assets to children and grandchildren without relinquishing control of the funds. You can grow the wealth of your descendants and control how and when they obtain access or use the funds in the trust. We can use GRATS, LLCs, and family limited partnerships to devalue the assets in the as they are transferred outside of your estate. Professionals also have significant retirement benefits and these are essential to deal with properly as they can end up being taxed at 75% if not death with properly. This results from income tax being paid as well as federal estate taxes being due on the amounts in excess of the estate tax exemption. If you are a physician and would like to discuss Florida Estate Planning with Asset Protection for physicians or other professionals please Contact us by email to schedule a meeting with a Florida Estate Planning Lawyer or call our office at 904-685-1200. We understand that meetings during the day are not always easy and are available to meet with you outside of business hours.